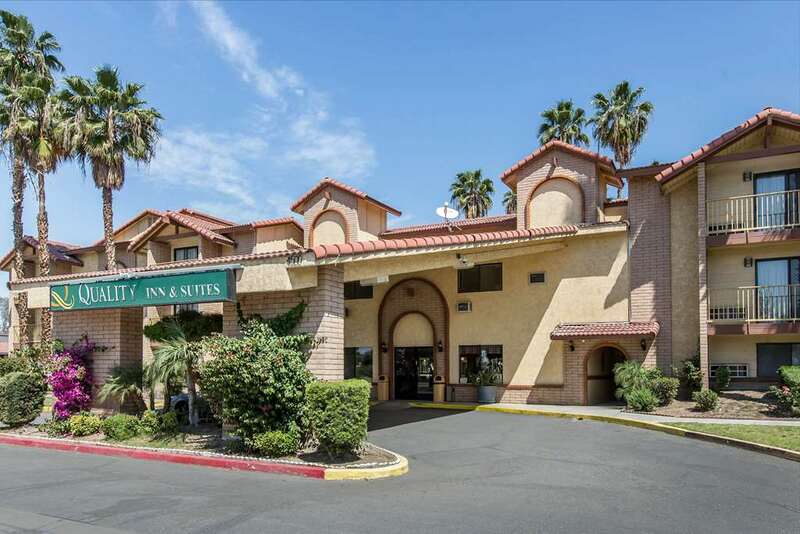 Get more for your money at the Quality Inn and Suites hotel in Bakersfield, CA near the Rabobank Arena. We are located off of State Route 99 near California State University-Bakersfield, Bakersfield College, Auto Club Famoso Raceway, Valley Plaza Mall and the Beale Memorial Library. Get more value with amenities like free WiFi, free weekday newspaper and free coffee. Business travelers appreciate our 50-person meeting room. Rooms include a hair dryer, coffee maker and TV. Some rooms feature balconies, wet bars, irons and ironing boards. Also, earn rewards including free nights and gift cards with our Choice Privileges Rewards program.